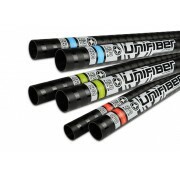 Unifiber άλμπουρο ENDURO EVO SDM C60 Flex Top 490. For the best balance between performance, price and durability this 60% Carbon content mast’s made using advanced pre-preg technology and is perfectly paired with larger Freeride and Freerace sails. ..